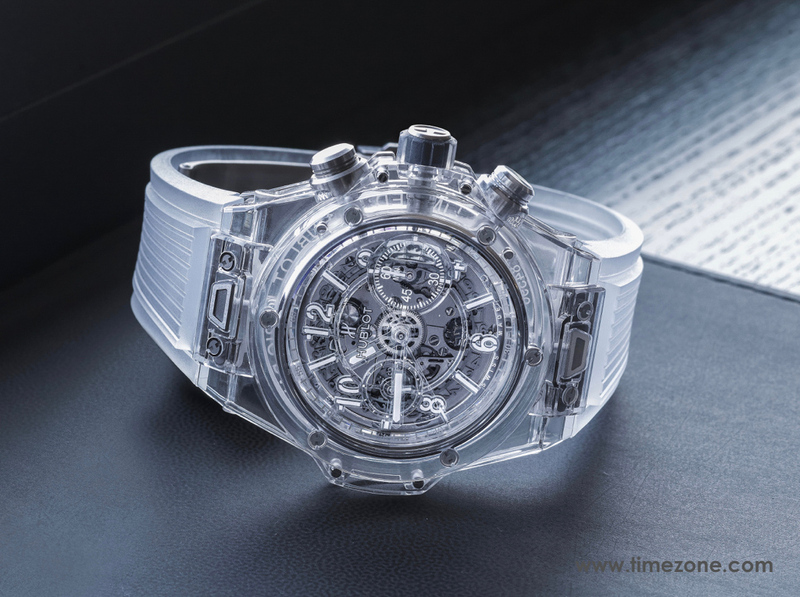 Following its ambitious MP05 LaFerrari Sapphire project, Hublot bares it all once again with absolute transparency in the Big Bang Unico Sapphire. 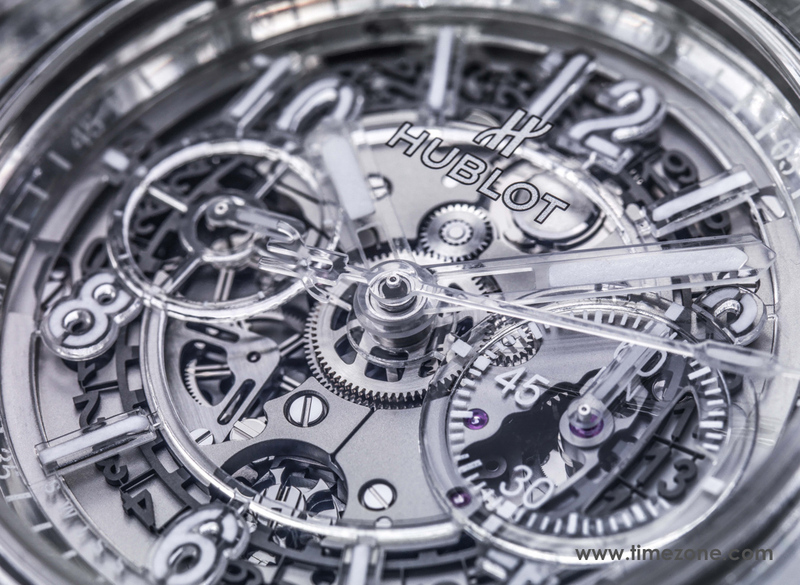 "Through the Art of Fusion, Hublot reveals all. 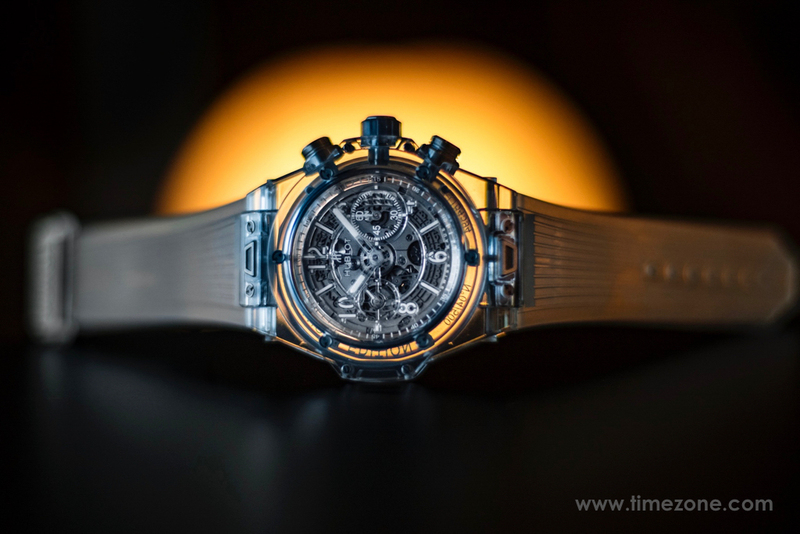 A transparent case that reveals the soul of the watch-- the Unico movement and an absolute transparency extending to the strap, which has become invisible. Beyond the symbolism and the play on words, the Big Bang is laying itself bare. 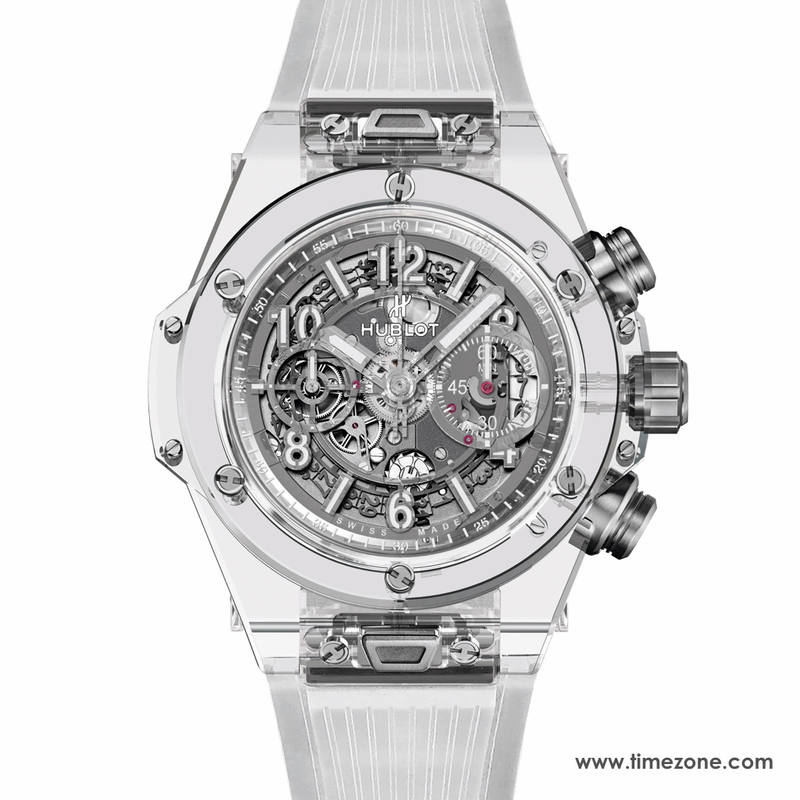 It has nothing to hide and everything to show," says Ricardo Guadalupe, CEO of Hublot. 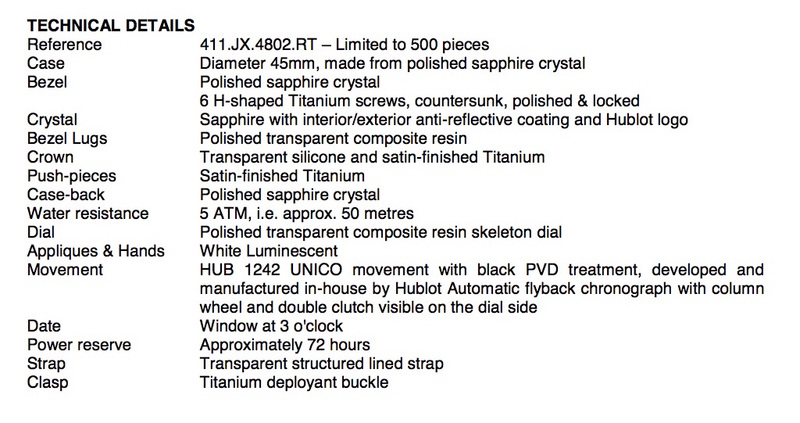 Although interpreted in a small series of 500 pieces, sapphire has never previously been cut on such a "large" scale. The case middle, bezel and back of the Big Bang Unico Sapphire are cut from blocks of sapphire, a material which is almost as hard and scratch-resistant as diamond (9 on the Mohs scale as opposed to 10 for diamond). 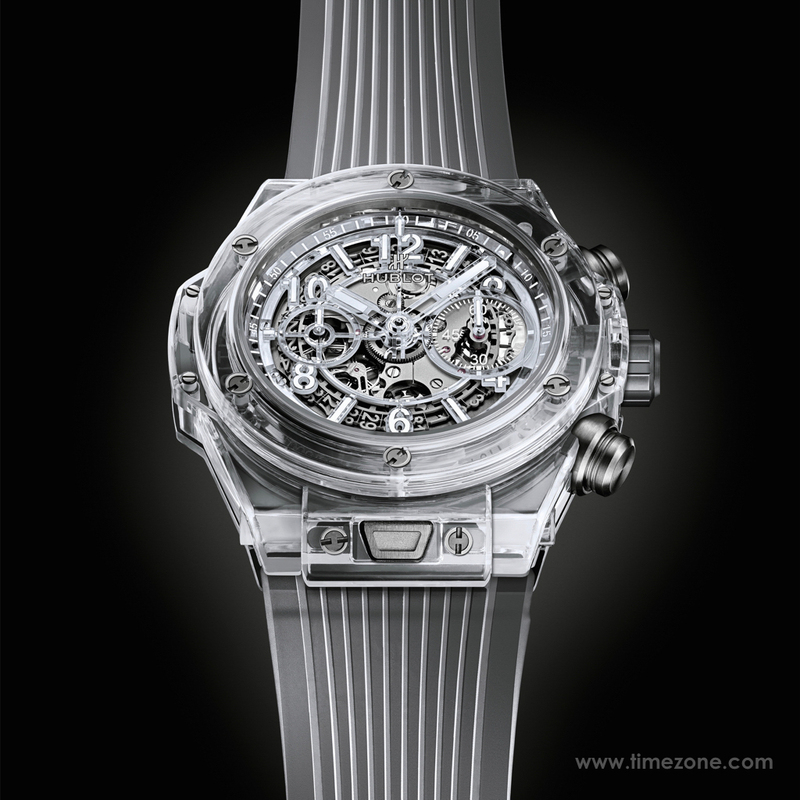 Hublot partnered with a Swiss specialist to develop the unique case material. Only a few pieces forming the spine of the watch are made from titanium: the screws, the crown, which is over-molded with silicon, and the deployant buckle. 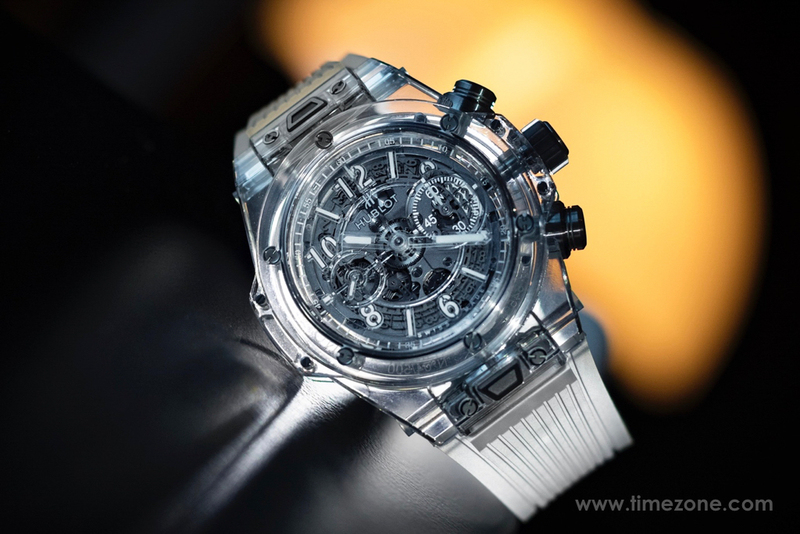 Its skeleton dial, made from transparent resin, reveals all the gears and finishes of the Unico HUB1242 proprietary movement. The transparent strap is the finishing detail. Available as a 500-piece limited edition, price is $57,900. Previous Topic: Incoming tantalum mat! Next Topic: Service in Germany.